Now, I would hardly consider myself a prude: quite the opposite, in fact. 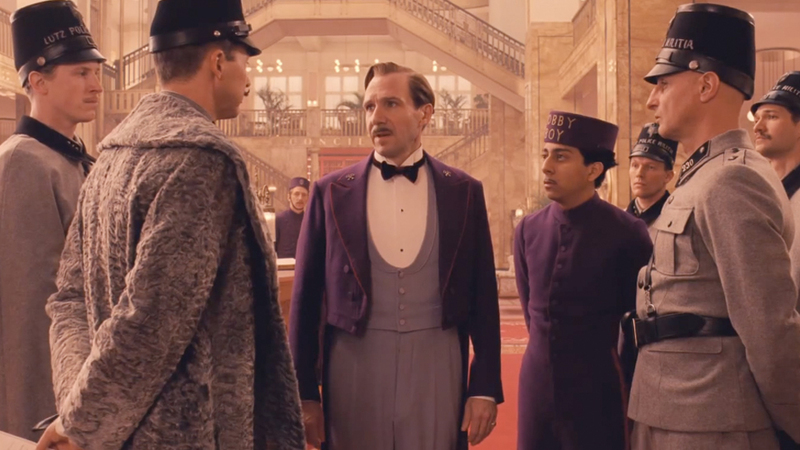 But a family rewatch of The Grand Budapest Hotel got me thinking about the film’s use of swearing. It was a point of contention for the older members of the clan (mum, dad and aunt), as they agreed that the swearing stood at odds with the ‘refined’ nature of the rest of the film and that, ultimately, the use of strong language was unnecessary and ‘gratuitous’. It was at this point that I brought up my initial viewing of the film: on a piddly little fuzz-box of an aeroplane screen (the fact that the film stood up to such brutal cinematic sacrilege is a proud testament to its brilliance, I should add). One of the most notable alterations to that aviation-friendly version was the inclusion of a bleep censor, as every coarse expletive was greeted by a familiar honk; I suppose to shield the ears of any nearby impressionables (as if the headphones don’t provide enough muffling). And, the crazy thing is, I came to the conclusion that this was a stylistic choice on the part of Wes Anderson, the film’s director. While somewhat jarring at first, they seemed to be a fitting inclusion and added to the humour of the sporadic curses. I must admit, I felt pretty foolish as the obscenities started to flow on this second viewing. But, as things progressed, I found myself wondering whether that bleep censor was actually an improvement. The movie is fabulous, don’t get me wrong, but the occasional coarseness of the language is an interesting feature to consider. And, while I have absolutely no problem with Anderson’s use of strong language, I do wonder whether bleeps would have made Gustave H’s scattershot fruity dialogue even more amusing . . .
Am I on to something here or totally off my rocker? Let me know your thoughts in the comments below.